6 Signs You Need a Water Softener | Doug Turner Plumbing CO.
Have you noticed a scummy build up on your silverware, glasses, dishes, or mirror? It’s caused by the hard water in your home. Water softeners help eliminate the scum and residue covering these surfaces in your home. If you’d like to bring that sparkle back to your dishes and mirrors, then consider installing a water softener. Have you noticed an odd, metallic taste from your drinking water? 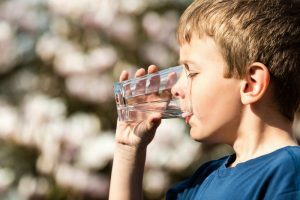 It’s not in your imagination, the excess amount of minerals in your water supply can change the taste of your drinking water they’re allowed to exist in your water supply unmitigated. This isn’t bad for your health, but it is an inconvenience in your home. A water softener filters your water and makes it taste fresh. When you eliminate the inconvenient limescale deposits around your home it makes it a lot easier for you to clean your space. Hard water is such a big problem because it creates a return of scum and dirt quickly, a water softener helps prevent these problems from reoccurring so often. Do you notice that your skin always seems dry, that you don’t feel as clean as you should after a shower, or that your hair always seems to tangle after you wash it? It’s not the soap you’re using to clean your body and you’re probably not due for a trim—it’s the hard water in your home! When you have hard water, the minerals settle everywhere—that includes your skin and hair. If you’re constantly itchy or your hair feels dry and brittle, installing a water softener can help you feel more comfortable. Do you wash your clothes and notice that there are soap streaks on your items, that they’re dull, or that they feel scratchy? You need a water softener in your home. A water softener makes water easier on your clothes. Hard water diminishes the quality of your home’s appliances. This includes your coffee maker, shower heater, sink faucets, washing machine, water heaters, boiler, and humidifiers. Build up in these systems makes it much harder for these appliances to heat up water fast, effectively, and to perform their jobs. This makes your appliances more prone to repair. Build up in your plumbing system is also a problem for your home. If you find have build up, then you’ll face frequent plumbing repairs and low water pressure. A water softener will help you avoid future problems. Considering installing a water softener? Have our experienced technicians from Doug Turner Plumbing CO. install this valuable system for you.